Graduation is a special day in every student's life which signifies many months or years of hard work and the completion of one's studies. This kind of accomplishment is certainly one that deserves a big celebration. If you have an upcoming graduate in your life, recognize this amazing achievement with cupcakes topped with one of the following fun and easy decorating ideas. 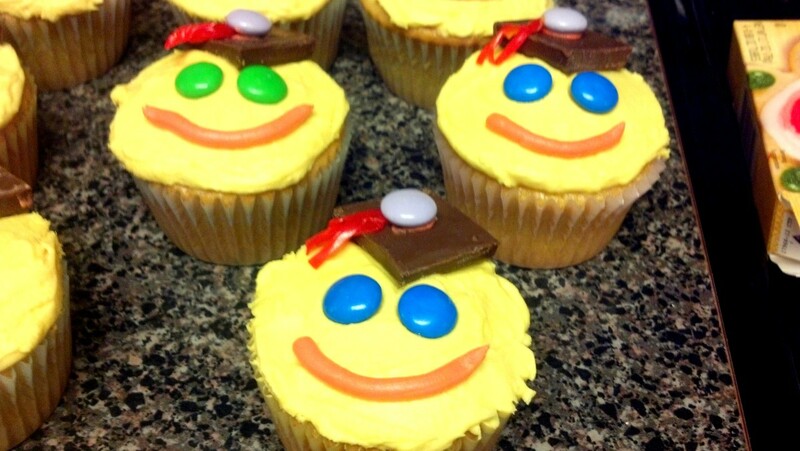 Whether your graduate has finished kindergarten, high school, or college, read further to discover several different decorating ideas for your graduation cupcakes. Wanting to do something special for my son's kindergarten class, I decided to make cupcakes to celebrate their upcoming graduation. These cupcakes were very easy to make and got the kids super excited for their closing ceremony which was later that night. Below you will find a list of supplies and step-by-step directions for creating our graduation cupcakes. Bake cake mix according to directions on box and let cupcakes completely cool before icing. 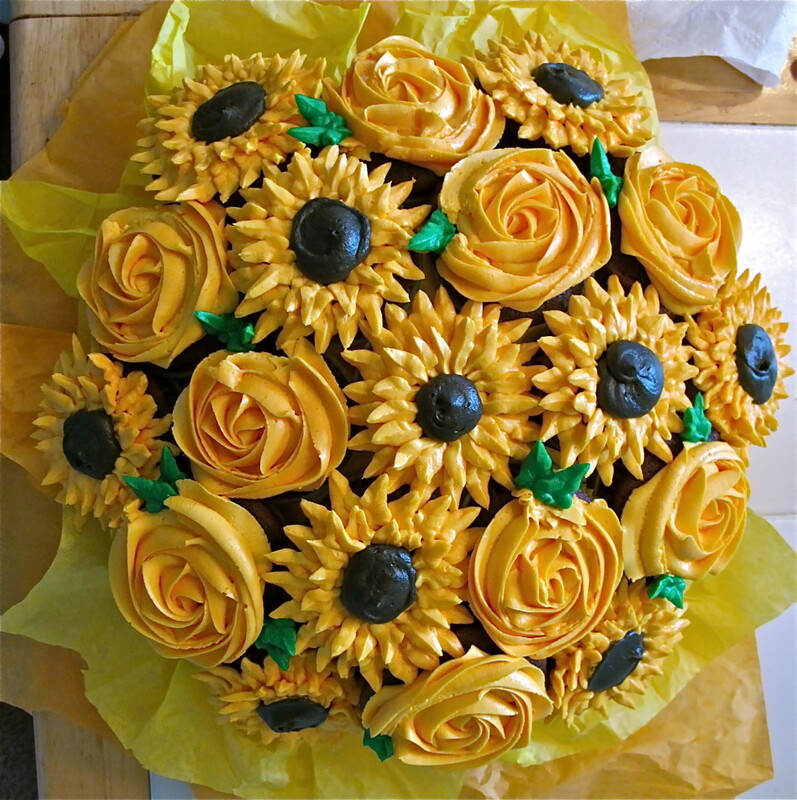 Add yellow food coloring to a batch of buttercream icing and frost cupcakes. Leave a small amount of icing to be able to make the red mouths. Break the Hershey's chocolate bars into square shape for the graduation caps. (I used the fun size and broke them in half.) Place the chocolate square arranging it to look like a diamond at the top part of the cupcake. 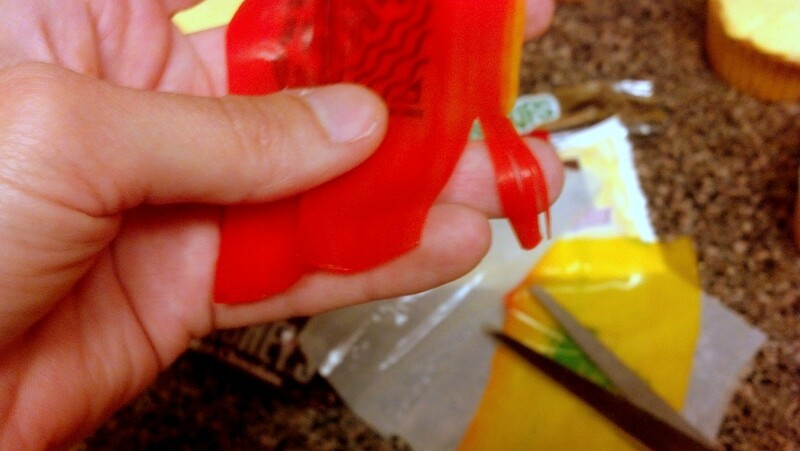 Cut 3-4 small strips in a red Fruit Roll-Up to make the tassel. Attach the tassel to the cap with a small amount of icing. To finish up the cupcakes, add 2 M&M's for the eyes and use red icing to create the mouth. 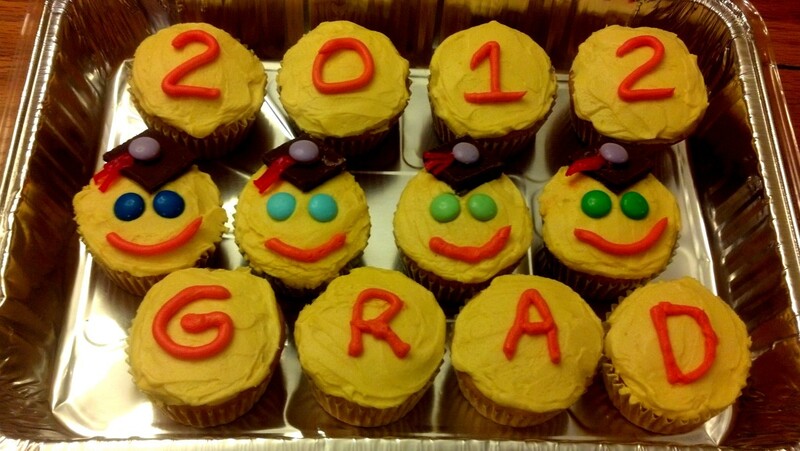 Graduation Cap Cupcakes - Use a peanut butter cup for the bottom of the graduation cap. Add a small amount of icing to attach the chocolate square. 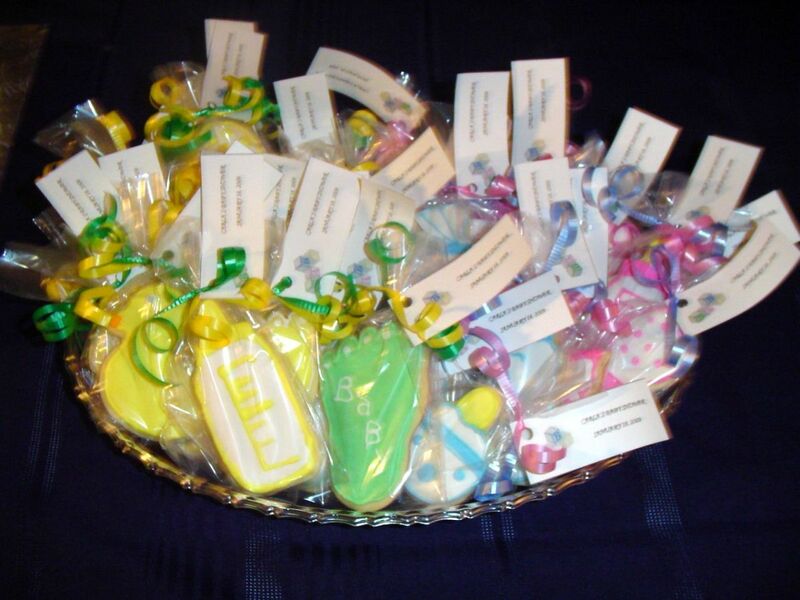 Attach a candy tassel and button with icing to the top of the cap. 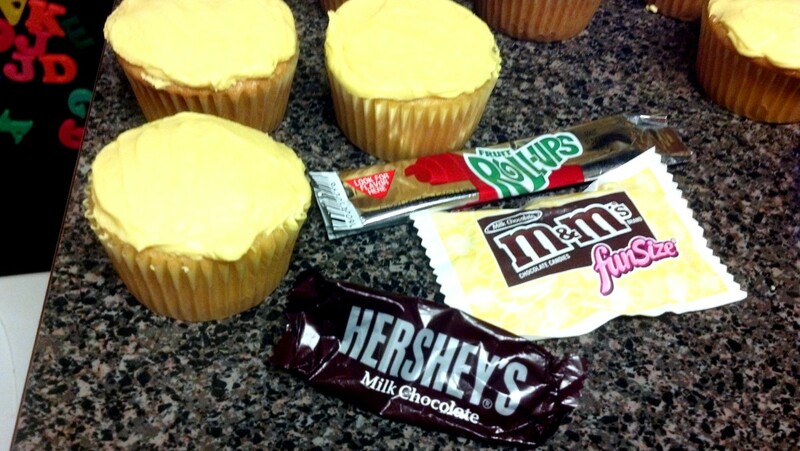 Diploma Cupcakes - Melt a vanilla flavored Tootsie Roll in the microwave and flatten out. Cut into square and roll into diploma shape. Cut a long strip out of a Fruit Roll-Up and twist around the diploma. Star Cupcakes - Cut star shapes out of fondant with star shaped cookie cutters. If you are attaching multiple stars, use icing to glue the stars together. Monogrammed Cupcakes - Use fondant or icing to create the graduate's initials. You could also use this same method to create the school's initials to top your cupcakes. Chocolate Cupcakes - After baking chocolate flavored cupcakes, tear off the cupcake liner. Turn the cupcake upside down to make it the base of the graduation cap. 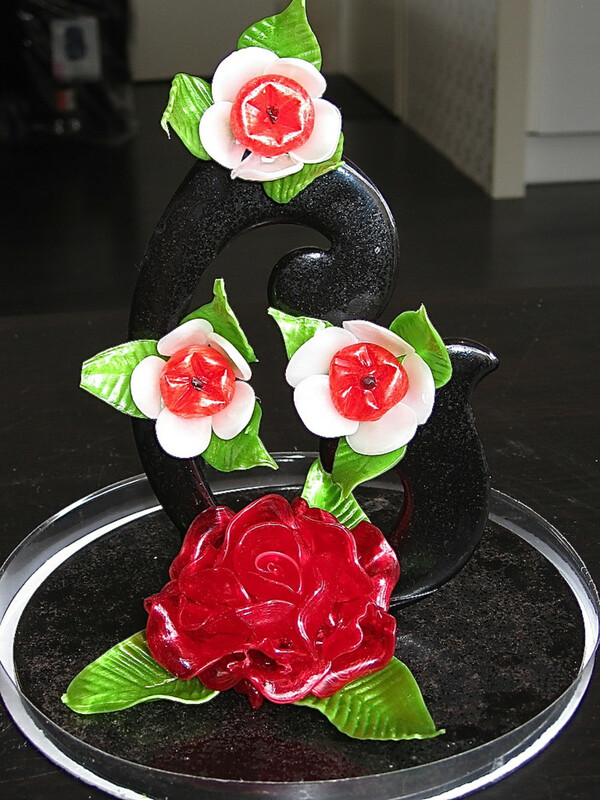 Use icing or melted chocolate to attach a chocolate square, candy tassel, and button to the top of the cupcake. Which do you prefer at a graduation party? If you are hosting a graduation party for your upcoming graduate, any of these cupcake design ideas would be the perfect dessert to serve your guests. Not only are cupcakes much easier for your guests to handle, but you also save yourself from standing at the cake table half the night handing out plates of cake. All you need is a cupcake stand in the middle of the food table and you are free to celebrate this special day with your graduate and loved ones. 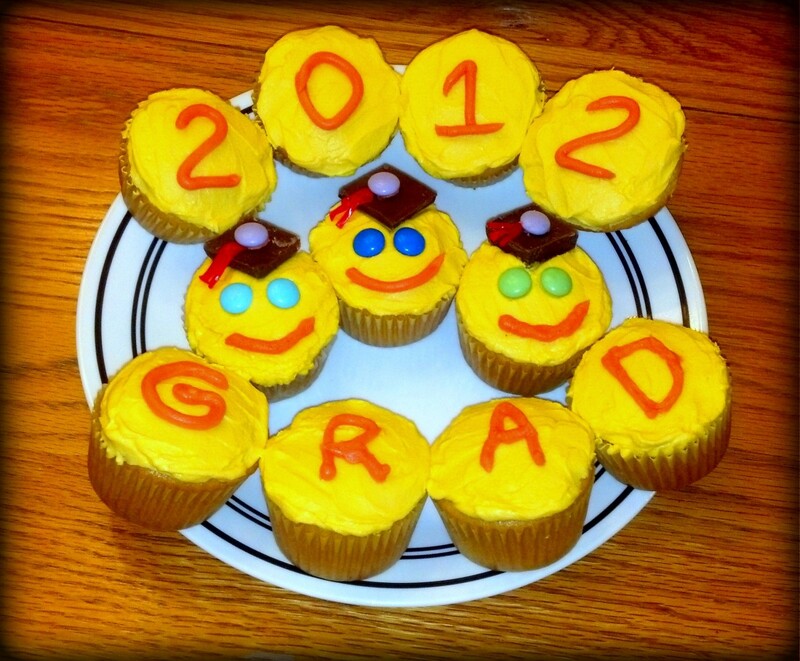 I hope you have found some fun and easy decorating ideas for your graduation cupcakes. 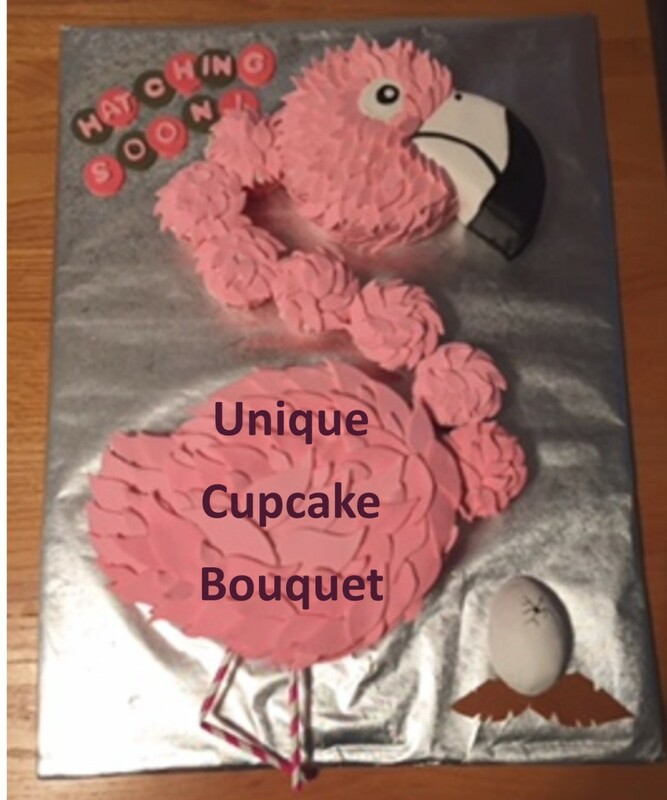 If you have any questions or comments about our cupcake design or any of the other decorating ideas, feel free to leave these in the comment section below. Congratulations to your special graduate! 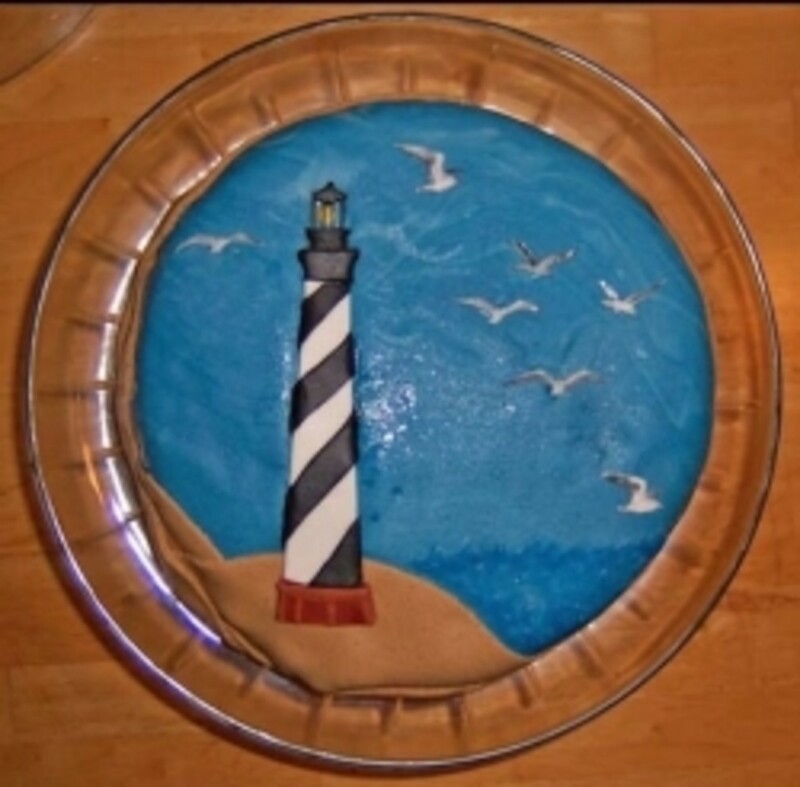 If you are planning an ocean themed party, try out these fun and easy decorating ideas for your cake and cupcakes. 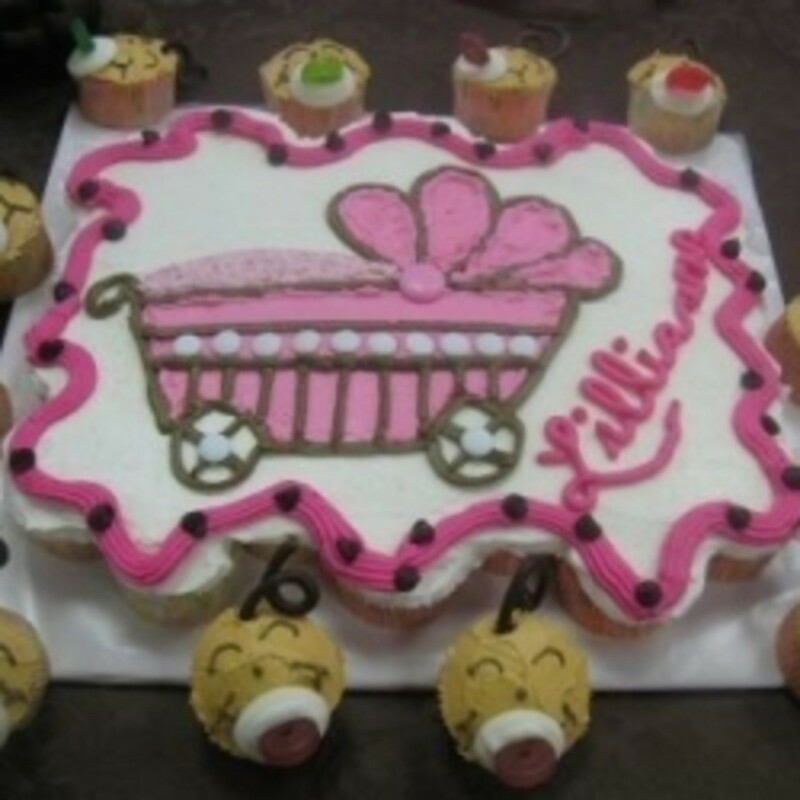 You will find step-by-step directions and pictures to create a fish shaped cake and under the sea cupcakes. Looking for decorating ideas for Mother's Day cupcakes? Find directions and pictures for creating a simple and elegant design wrapped in a DIY cupcake wrapper. Looking for decorating ideas for your Easter cupcakes? Find out how to make festive cupcakes with marshmallow Peeps and jelly beans all wrapped in a kid-friendly DIY cupcake wrapper. Looking for decorating ideas for your St. Patrick's Day cupcakes? Try these kid friendly design ideas with step by step instructions to make your own cupcake wrappers. Thank you Iris for your visit and taking the time to comment! So happy to hear you liked the ideas! Thanks so much LauraGT! Yes you will have to come back for the next graduation. Appreciate you stopping by and for commenting! Cute ideas! My son just graduated from preschool last night. I guess I'll have to save these ideas for my daughter's graduation in a couple of years! Thanks teaches12345! 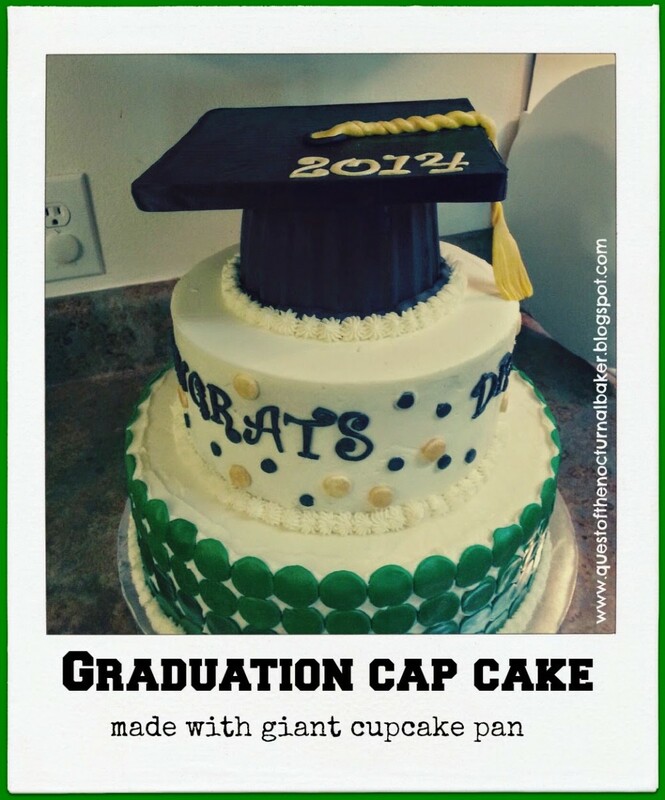 The chocolate cupcake idea was so cute because it looked exactly like a graduation cap but it was missing all that yummy buttercream icing that my boys love! lol :) Appreciate you stopping by and commenting! This is posted just in time for all those who have graduates in their family. I would love to see the graduation chocolate cupcakes. Love your yellow cupcakes! Sounds like you are enjoying those cupcakes Master Chef! :) Thanks so much for stopping by! Hi vespawoolf! Cupcakes are so much easier to serve than cake and it leaves you all that extra time to mingle with your guests. Thanks so much for stopping by and commenting! I can't believe I'd never thought of cupcakes instead of cake at a graduation party. Not only do we love cupcakes, but it sounds so much simpler as well. Thanks for sharing your great ideas! Thanks so much randomcreative! Appreciate you stopping by and for your sweet comments! Thanks theclevercat! My boys are loving all the cupcakes but my husband says I am ruining his diet...oops! Guess that means he doesn't want cupcakes for Father's Day ;) Appreciate you stopping by and for the votes! I love your cupcake series! Thanks for some more great cupcake ideas. I really love the cupcake series, Alissa! It always makes me smile, and who doesn't love cupcakes??? Voted up and awesome. Thanks missolive! We had two graduations this year in our family so I had to come up with some cupcake designs to celebrate. And I am so with you on the buttercream frosting - I will take it over chocolate frosting any day :) Appreciate you stopping by and commenting! Thanks emilybee! So happy to hear you like the cupcake design! Appreciate your visit and for the sweet comments! Thanks Shesabutterfly! Oh how exciting - congrats to your baby sister on graduating! Hope she enjoys the cupcakes! Appreciate you stopping by and commenting! Very cute idea. Lots of graduation parties this month. Thanks for sharing. Note: I LOVE buttercream frosting! These came out great!! They're so cute :) Thanks for sharing these ideas.